Guided Reading is a powerful and efficient tool to target your reading instruction to meet the specific needs of your children. To get the most out of your Guided Reading time, you’ll need to do some research and planning up front. Who your children are as readers, their strengths, and their needs. How you will group children with similar needs and interests. A schedule for meeting with groups that makes sense for your readers and your literacy block. This preparation doesn’t just happen at the beginning of the year. Your children will grow as readers, and you’ll need to be prepared to track and respond to their changing needs as the year goes on. Assessing children and forming groups are one part of preparing for Guided Reading. The other part is planning thoughtful lessons. Choose teaching points and books that address the specific needs of the different groups. Plan what you will do and say before, during, and after reading. Learning to read is a developmental process. Most readers move through a similar sequence of behaviors as they learn to read, although not necessarily at the same pace. Just like not all babies learn to walk or talk at the same time, not all children learn to read at the same age and grade. Reading development is influenced by experience, environment, and normal variations in maturity. Effective reading instruction targets the reading strategies and skills that are appropriate for each reading stage. Pre-emergent readers are just beginning to understand how books work. They enjoy being read to, and may pretend to read and retell favorite stories. They are working on book handling skills, turning pages and looking at pictures. Children at this stage need many rich and enjoyable experiences with books. Emergent readers understand that in addition to pictures, print carries meaning in a book. They notice environmental print and begin to learn common words like “mom” and “like.” They remember patterns in books and use them to read. They understand that spoken words are made up of sounds and are beginning to learn letter sound relationships. Early readers can read and understand simple books. They have different strategies to figure out and confirm new words. Early readers learn to pay attention to all three cueing systems – visual, syntax, and meaning - asking themselves: Does it look right? Does it sound right? Does it make sense? Early readers need to know many sight words automatically. They can retell stories and talk about messages the stories contain. Transitional readers can read simple stories with familiar text structures with increasing fluency. They know many sight words automatically and can decode most familiar words. They are still learning to decode bigger words and increase fluency and vocabulary. They don’t rely as much on pictures and can read longer, more complex texts. They enjoy series books including short chapter books and stories with more developed characters. Early fluent readers are ready to take on a wide range of texts. They are reading to gain new knowledge and understanding of the world. They consistently self-monitor and cross check different sources of information. They can read most words automatically and are working on expanding vocabulary, gaining fluency, and working with increasingly complex texts. The hard work that children do when they are learning to read is different for each stage of reading development. This means that what we focus on and spend more time on in Guided Reading should change depending on the reading stage a child is in. For example, early readers are doing a lot of hard work in decoding. Yes, they still need to understand the book – we don’t want to ignore comprehension entirely – but the hard work and bulk of their problem solving should be around decoding. That’s where they need the most support and instruction in Guided Reading. And where we should spend the most time before, during, and after the reading. This is different for children who are in the early fluent stage. They may still run into words that are tricky, but their hard work is around vocabulary and comprehension. And so that’s where our instruction should focus. Before you can group your children for Guided Reading, you’ll need to spend some time getting to know them as readers. Gather information to determine reading levels, strengths and needs of children, and information on their reading identities. You can do this through formal assessments such as running records, phonemic awareness and spelling inventories, interest inventories, and writing samples. You can also gather information from talking with children, observing behaviors, and other informal assessments. Assessing children is an ongoing process. Continuously check in on your readers as their skills grow and needs change through the year. Use this document to identify entry and exit requirements for this reading stage, select appropriate texts for this reading stage, determine appropriate assessments, and plan instructional activities that support these readers throughout the literacy block (not just in guided reading). Use this chart to correlate reading levels across different assessments. Record your class' reading levels on this form. Teach Guided Reading with texts at the reader’s instructional reading level. This is where readers are able to decode and navigate most of this text and are therefore able to understand most of what they read (but not all). It gives them the room and opportunity to learn how to flexibly use and apply the skills and strategies they have been taught. Independent: The level at which a reader can read text with 95-100% accuracy (i.e., no more than one error per 20 words read). Independent reading level text is relatively easy text for the reader. Instructional: The level at which a reader can read text with 90% accuracy (i.e., no more than one error per 10 words read). Instructional reading level engages the child in challenging but manageable text. Frustration: The level at which a reader reads at less than a 90% accuracy (i.e., more than one error per 10 words read). Frustration level text is difficult text for the reader. As you meet with children in Guided Reading, you are continually reassessing their reading skills and behaviors. Children’s reading skills develop at different rates, so it is important to make sure that you are grouping children in ways that meet their current needs and allow you to teach at their current instructional level. 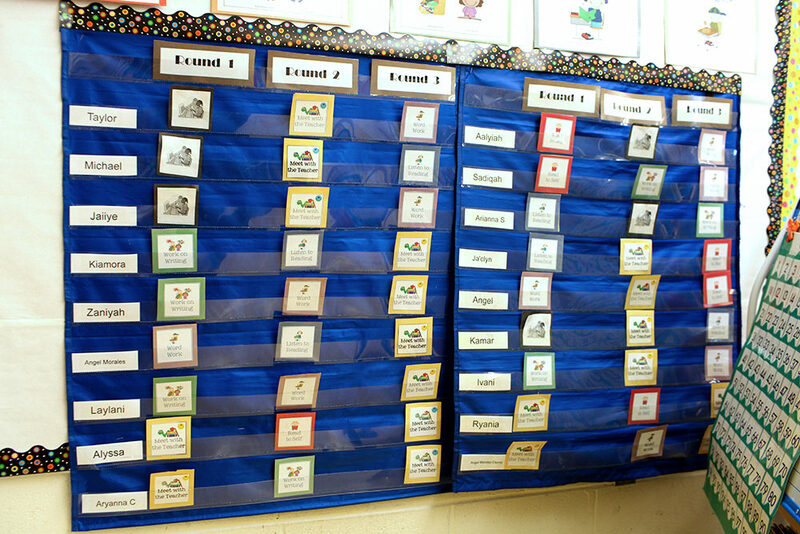 Flexible grouping is good for your classroom culture, too. Keeping groups flexible sends the message to children that strengths and needs change all the time. Unlike the “high,” “middle,” and “low” reading groups of the past - in which everyone knew who was where - flexible groups don’t pigeon-hole and label children’s abilities. Keep track of your groups by writing children’s names on sticky notes that you can move around. You’ll be more likely to move children if you don’t have to rewrite every name each time you want to regroup. Use name cards in a pocket chart to display which children will be meeting in Guided Reading on any given day. Avoid posters or other hard to change displays of Guided Reading or center groups. Don’t wait for a “formal” assessment or the end of a marking period to move children. Use data from ongoing running records, or your own observations to move children. If a child can read the text with good accuracy, fluency, and comprehension, the text is too easy for Guided Reading. Move them on as soon as they are showing you they are ready for the next level. Don’t make a big deal about what group a child is in on any given day. Avoid naming groups, assigning team captains, or other things that make it seem like a long lasting group. Group children first by instructional reading level. Form groups of no more than six children. If you have enough children on the same level for more than one group, look at other sources of data (miscue analysis, developmental spelling inventory, and comprehension inventories) and form groups based on shared needs and interests. Sometimes you’ll have a child who doesn’t fit into any of your groups. You have a few options. You can include the child with a group working on similar skills, if you think the child would benefit. Or you can meet with the child individually to work on goals one-on-one. Remember, you’ll be changing your groups around often, and have lots of ways to meet children’s needs. So not every child needs to be assigned to a Guided Reading group all the time. Consider your Guided Reading schedule and how many groups you can see during a week to determine how many groups you should form and how many children will be in each group. Continually re-assess and reevaluate your children’s needs. Keep your groups flexible and regroup as soon as your children’s needs change. After you’ve grouped your children for Guided Reading, create a schedule for when you are going to meet with each group. Plan your schedule for one or two weeks at a time. Check your calendar for assemblies, field-trips, or other things that may interfere with taking groups. How many times you meet with each group will be determined by how much time you have in your literacy block for Guided Reading. For example, if you have 45 minutes of Independent Work Time in your literacy block, you’ll be able to meet with two groups each day. So, you’ll be able to meet with ten groups each week. Create a schedule that allows you to meet with children who need more support more often. For example, If you have five groups, and 10 Guided Reading times available throughout the week, you might plan to meet with groups who need less support one time each week, and groups who need more support three times each week. Use this form to help schedule your guided reading groups. Plan on meeting with pre-emergent and emergent readers for about 15 minutes per session. Plan on meeting with early, transitional, and fluent readers for at least 20 minutes per session. Use an organizer to keep track of which groups you will be meeting with each day. Once you have your groups formed for Guided Reading, you can begin to plan your lessons. Successful lessons only happen with careful planning. The lesson planning template is a tool for supporting your thinking through this important phase of a Guided Reading lesson. Use a planning template to decide what you will do before, during, and after reading the text in the Guided Reading lesson. On the lesson planning template, record the actual language that you’ll use when teaching the lesson. This will help to conserve time and ensure a high quality lesson. Guided Reading lessons are 15 to 20 minutes long; careful planning will help you stay mindful of how much time you allocate to each part of the lesson. Use the lesson planning notes pages to help you plan Guided Reading instruction appropriate for each stage of reading development. Read the sample lesson plans for ideas for your own Guided Reading lessons. 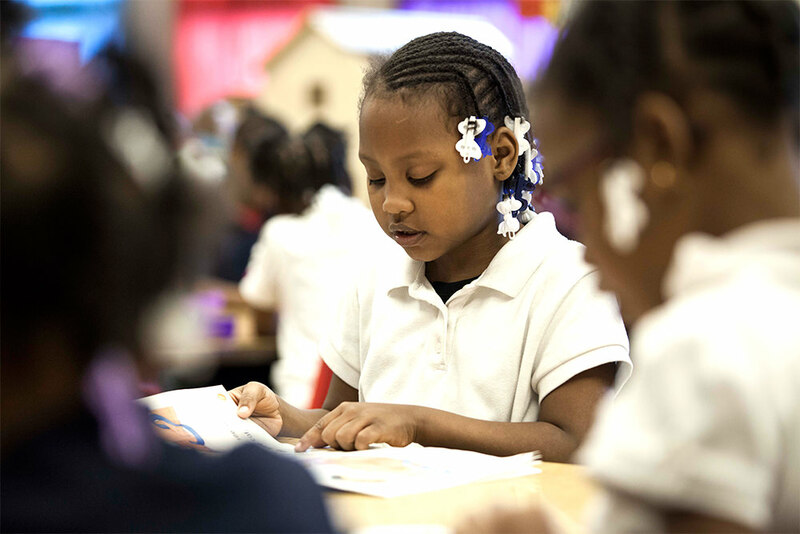 Learn how to differentiate the Guided Reading lesson for Emergent readers. Learn how to differentiate the Guided Reading lesson for Early readers. 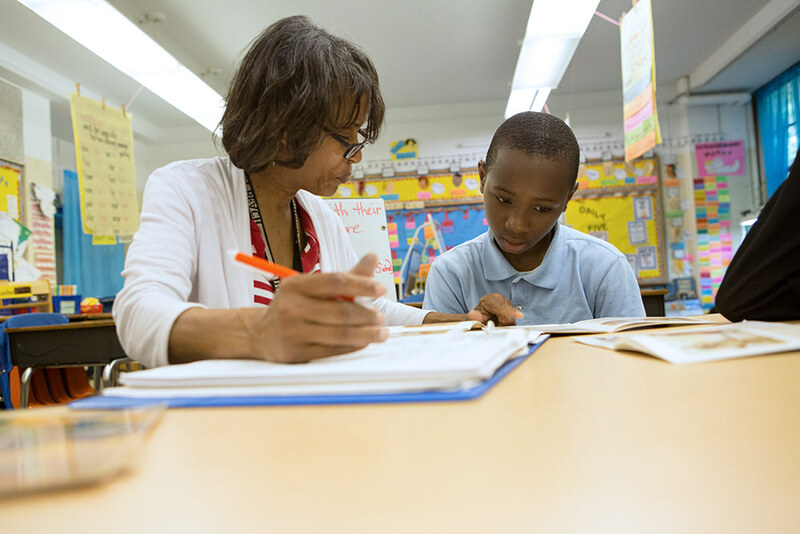 Learn how to differentiate the Guided Reading lesson for Transitional readers. Learn how to differentiate the Guided Reading lesson for Early Fluent readers. Use this checklist to note behaviors Emergent readers are demonstrating as they read. Use this checklist to note behaviors Early Stage readers are demonstrating as they read. Use this checklist to note behaviors Transitional readers are demonstrating as they read. Use this checklist to note behaviors Early Fluent readers are demonstrating as they read. Use this lesson planning template as you plan your Guided Reading lessons. See list of reading behaviors for all reading stages within one document, which allows you to see progression from stage to stage. A great resource for a Guided Reading binder or table. Choose the teaching point for your Guided Reading lesson based on the current needs of the children in your group. Here are some suggestions for teaching points based on the hard work children are doing at each stage of reading development. Point under the first sound and get your mouth ready. Rely on known letter sounds (specifically, knowledge of digraphs and blends) to decode words. Rely on known word patterns (word families) to decode. Cross check the picture with sounds. Read known high frequency words in context. Chunk increasingly longer words to decode. Rely on letter patterns (specifically, silent e rule, vowel combination, and word endings) to decode. Read dialogue with appropriate expression. Read and understand new punctuation marks. Recognize when reading doesn’t sound right and make corrections. Read in phrases instead of word by word. Self-correct at points of error. Read with increasingly more expression. Be aware of times when reading doesn’t sound right and employ strategies (like rereading) for figuring out words. Name and consider characters’ feelings. Retell in the structure of B/M/E, and in sequential order. Identify points of confusion and reread, use the picture, connect. Recognize new words they don’t understand the meaning of. Use strategies for determining meaning of unknown words. Some strategies include context, word parts, or nonfiction text features (captions, glossary). Use a combination of strategies to decode words independently (integrating meaning, phonics, and syntax). Rely on letter patterns (specifically, knowledge of prefixes and suffixes) to decode. Monitoring reading by utilizing strategies like cross checking, rereading, and self-correcting. Read with intonation and phrasing. Read with expression that matches dialogue, feelings, and events in the texts. Recognize fiction text structures (compare/contrast, SWBST) and nonfiction text structures and use structure to support understanding. Analyze characters’ actions and motivations. Recognize new vocabulary words and add words to bank of knowledge. Use strategies to figure out word meaning (look for clues in the sentence, use knowledge of prefixes and suffixes, nonfiction text features like glossary, captions, illustrations). 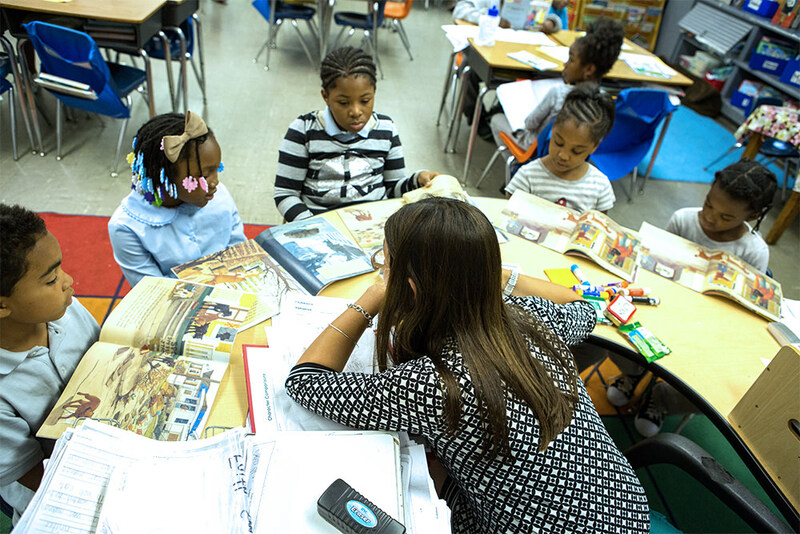 Not all children are ready for Guided Reading, but they still need small group instruction. Effective small group instruction for pre-emergent readers focuses on the early literacy skills they need, such as phonological awareness, letter recognition, and print concepts. Use the Small Group Instruction Planning Template to plan for your pre-emergent readers. This small group lesson takes about 20 minutes, with equal time building book skills, sight words, phonological awareness, and phonics skills. Use this lesson planning template as you plan small group instruction for your pre-emergent readers. These notes offer more information for planning lessons for pre-emergent readers.